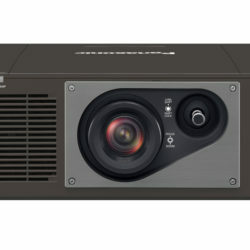 SOLID SHINE Laser is Enhanced with the Latest DLP Technology | Projector Hire London : Together with the latest DLP module for detailed WUXGA resolution (1920×1200) and new-generation solid-state laser diodes for high brightness, PT-RZ570 Series’ outstanding performance stems from a four-segment Quartet Color Harmonizer color wheel that reduces energy loss from the light source, an all-new heat-resistant phosphor wheel, and an optimized laser drive system to boost perceived brightness and improve color accuracy. Laser Module Maintains Picture Quality for Longer: Thanks to the long-lasting laser light-source module, there are no lamps to replace and image color and brightness degrade more gradually and in a linear rather than exponential fashion. As well as reducing maintenance hassle, high picture quality is maintained for longer. Rich Color Enhancer : Rich Color Enhancer offers a Dynamic Mode setting to increase image brightness, or Graphic Mode/Standard Mode, which adjusts color-wheel timing to produce deeper, richer colors in rooms where maximum brightness is unnecessary. 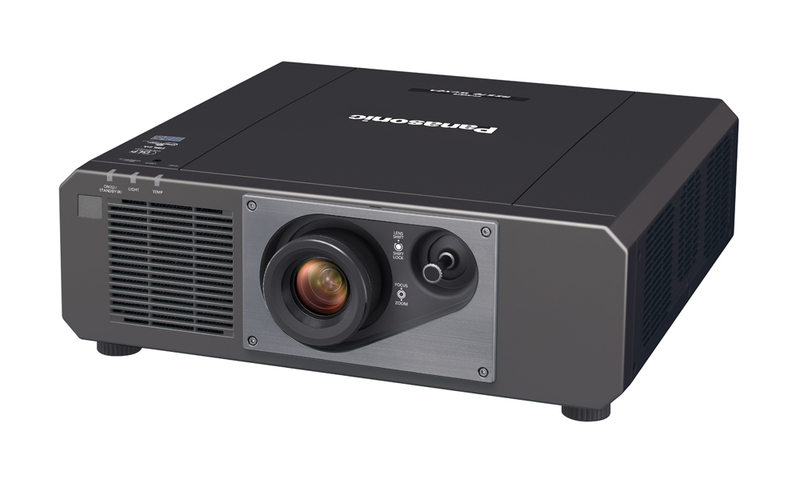 Safety Guaranteed : Panasonic laser light is no more harmful to eyesight than a regular lamp-based projector, as a diffusing lens reduces beam energy concentration. Accidental direct exposure to will not result in damage to eyesight. 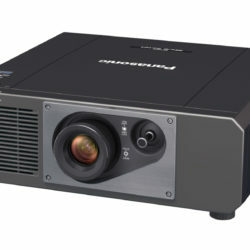 The laser light source does not require any warm-up time, so images appear almost instantly (about one second*) with PT-RZ570 Series projectors. There’s also no cooling time required when turning the power off. 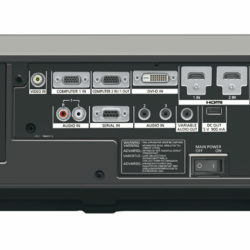 Users can turn the projector on and off immediately as many times as necessary. 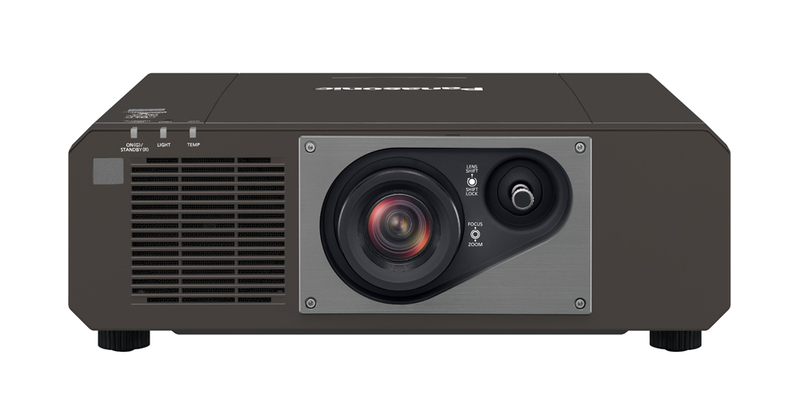 Wide-Range 2.0x Zoom and Lens Shift : The inclusion of a versatile 2x zoom and joystick-operated wide-range lens shift grants flexibility for installation in different rooms and for projection on different screen sizes. To produce a 100-inch-diagonal wide-screen image, projection distance extends from approximately 3.3 m (10.8 ft) to approximately 6.7 m (22.0 ft). Screen Adjustment for Specially Shaped Screens : Horizontal, vertical, and corner keystone correction adjusts the image shape for clear visibility when projecting off-axis or from an unusual angle. Curved Screen Correction allows for the projection of natural, distortion-free images onto curved or cylindrical surfaces. Free 360-degree Rotation : Projection is possible in any orientation vertically and horizontally, and the unit can be rotated 360 degrees for installation at any angle.